Since I do not have a boat and probably will not have one for a long, long, time. I am looking for Farm Ponds in the County to practice in my fishing in. I am getting a little tired of going to fish in a barrell (6.00) and going to my in laws an hour and a half a way to fish small waters. Does anyone have any farmer friends with ponds that would let me fish during the week? Thanks. I thought about that double T, but I feel weird going up to a total stranger and asking. I have dealt with some farmers around here before and they are a little weird about that stuff. I rather ask someone that I have an in with to go on their property. There is a community pond that I have fished before without being a member of the community. I just park and walk down to the pond and have never had anyone give me problems. Its by Patterson Mill Middle/High School. You take Patterson Mill Road off of 924 and I believe its your second left. After making that left you will come to a stop sign and you will see the pond straight ahead. I use to fish there all the time in the past before I got my boat. Once the spawn is here you can catch one on almost every cast. Cool. Thanks Hammy. I will check it out. Its a good spot, ive nailed a couple out of it... u can get to joppatowne quarry by land too... cant explain it how just need to show you!! Paul, just take some of the Obama stimulas money that he's sending everywhere for police/fire, bigger govnrt and buy a boat. You could say its for the Harford county Police Dept water rescue and water assault multi purpose boat. Put a big O on it and say your sponsered by Team Obama. Then fish anywhere you want, even private lakes. Use the power of the O. To get to the quarry its fairly easy. I can put you in the general direction however you might need to ask for access to walk through a yard or two. Take Rt 40W toward Joppa and make a left onto Joppa Farm Road. After you pass the Redners supermarket you will make the right hand turn as if you were heading to Rumsey Island. After you pass the "wooded" area on the right... keep our eyes peeled to the right and you will see the quarry behind one of the first two houses. Like I said, you might have to cut through some yards then again I've seen people fishing in A LOT of different spots back there. As for the Patterson Mill pond... it holds good numbers! I did some fun spot fishing there last year and two years ago I pulled a 4lb'r out of there. Wow. I had no idea about these spots. I need to sneak away from the egg hunts this weekend and hunt down some bass. The Quarry. Just after the trees like Hammy said, there is a gate thing and an old access road. Par on the side of the road some where and follow the on dirt access road to the Quarry. No need to cut though yards. Its about a 1/8 - 1/4 mile walk on the dirt road. Cutting through yards was just letting me remember my juvenile days. Tom is right... there is a gate there on the right side of the road... I just forgot all about it. Gate... who needs/uses a gate? cool. Now I just need this freakin cold weather to stop. Me too. Thats why I didn't take off to fish today. I'm looking to take off Friday though and get some quality time out on the boat. Smitty and I will be out about 11 on friday puttin in work! Where launchin? Might be able to join on the water. Hmmm... I just got my rainsuit. Might be good to test it out. Maybe I can get you out one of these days Ken. Let me ask... how many rods/reels do you have? What are you comfortable fishing (docks, laydowns, slow vs fast)? That way if we get out in the future I can try to show you some new things around here as well work with your strengths. You can PM if you want. I tried the quarry and caught nothing. very dirty, muddy water and very shallow. A guy was fishing live bait and only caught a wild shiner. The pond off of paterson mill road has a huge 6' x6' sign that says no tresspassing/members only, and there were a bunch of people around doing yard work and walking their dogs, so I didn't bother. Is there anywhere else?? The pond off of paterson mill road has a huge 6' x6' sign that says no tresspassing/members only, and there were a bunch of people around doing yard work and walking their dogs, so I didn't bother. I have never worried about the sign and I have never had anyone bother me while they were outside! 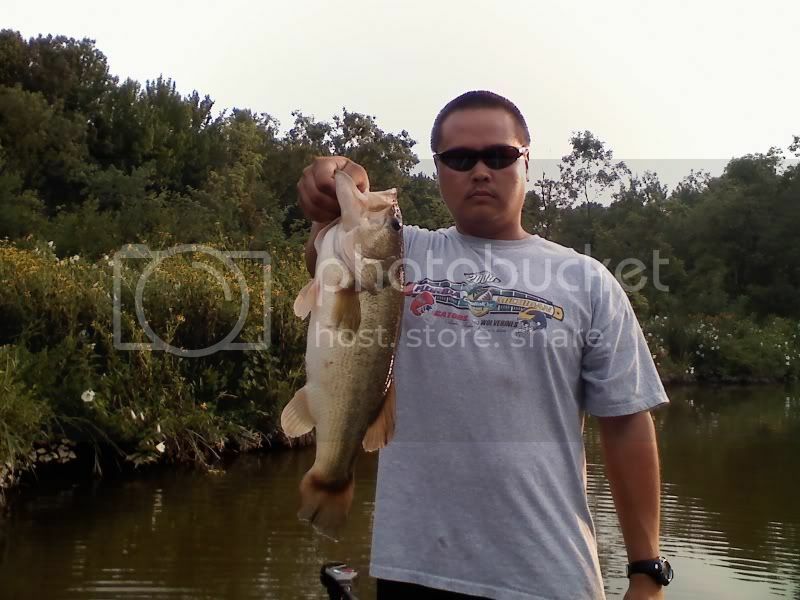 Hell, last year I fished on Fathers Day with a friend and there were like 5 other people fishing the pond. I was pulling fish out left and right. If someone were to ever ask me I would just say that I am visiting my aunt in the neighborhood and that she said I could fish. I work here in Harford Cnty ( APG- Edgewood) and was wondering the same thing- I need places to fish at lunch and after work. I was told to try the Heavenly Water Park Pond. Its up behind Harford Mall. Has anyone ever fished there and is it worth it?? What about Attkinsson Resevoir? I tried that the other day- way shallow and no bites. Anyone ever have luck in this spot?